Centennial Forum buzzed with first-years and transfer students Saturday and Monday as students registered to vote in conjunction with Chicago Transit Authority (CTA) U-Pass distribution for the first time. 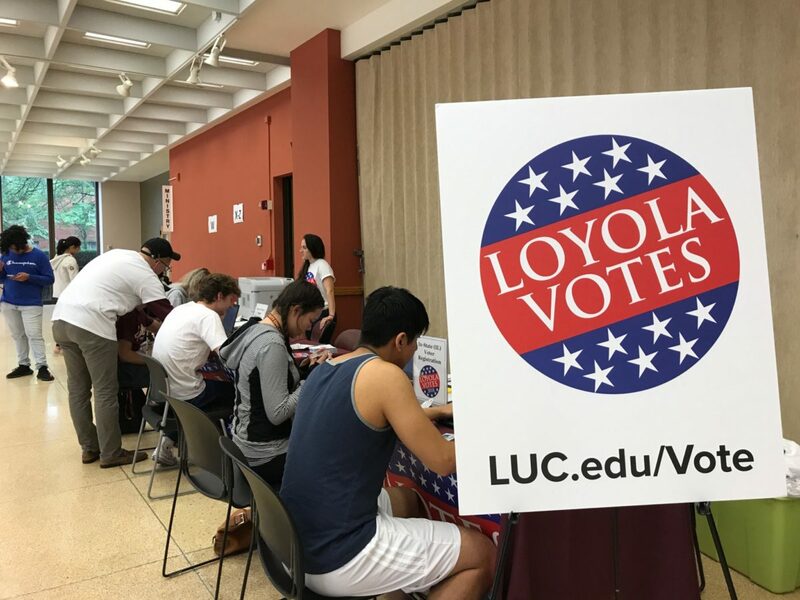 The event was part of a “Loyola Votes 2018, a larger university-wide campaign informing and encouraging Loyola students to be active in political campaigns. Students were able to sit at computer stations and register to vote in or out of state. Those already registered out of state were able to sign up to receive an absentee ballot to mail if they aren’t able to make it to a polling station in their home state. Vivian Mikhail, the program coordinator for Loyola’s Office of Civic Engagement, said this is the first time voter registration has been a university-wide effort, although Loyola has provided voter registration through smaller initiatives before. Phillip Hale, the vice president of civic engagement for the university, said getting students involved in government is a large part of a Jesuit-Catholic education and begins with exercising one’s right to vote. 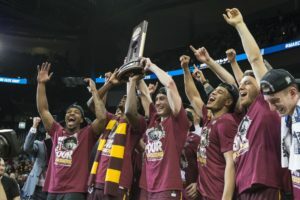 According to Mikhail, Loyola Votes interacted with about 1,000 students in the two days they were in Centennial Forum, with the majority of student traffic on Saturday. 100 students mailed out out-of-state registration and absentee ballot envelopes, and approximately 500 students registered both online and in mail (including the 100 mailing out of state). Approximately 23.7 million people ages 18-29 cast votes in the 2016 Presidential Election, which is 50 percent of that age group, according to a report from the Center for Information and Research on Civic Learning and Engagement (CIRCLE). National movements, such as March for Our Lives and The Women’s March, have encouraged U.S. Citizens to register to vote online. March for Our Lives also went on a national tour to educate and register people to vote over the summer — stopping in Chicago in June. Isabelle Gregga, a first-year biology major, said her motivation to register formed as a more diverse set of candidates started running for office. “Across America right now there is a wave of women and people of color running for office and I would like to support that,” Gregga said. Alexandra Ditoro, a volunteer at the voting station, said voting is an important element to social change. 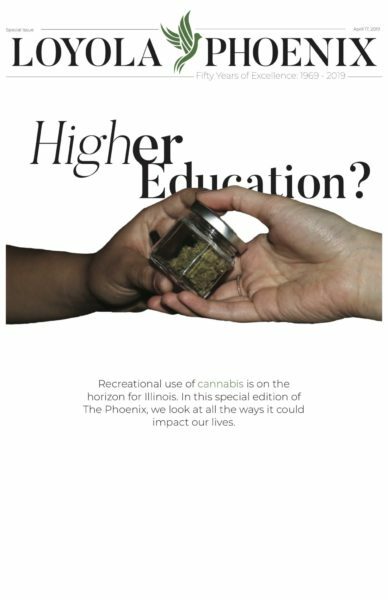 “If you have topics and issues that you are passionate about, especially at a social justice-based school like Loyola, it’s important to act on those and try and make a change and not just talk about what you are passionate about,” the junior dance and journalism double major said. While voter registration ended Monday, U-Passes will continue to be distributed throughout the week in the Centennial Forum on the Lake Shore Campus for undergraduate students, and at various locations on the Water Tower Campus for graduate and law school students. Loyola Votes will be providing other opportunities for students to register to vote Sept. 25 at the Information Commons, Oct. 1 at Arrupe College and Oct. 3 at Lewis Library ahead of the midterm elections Nov. 6.